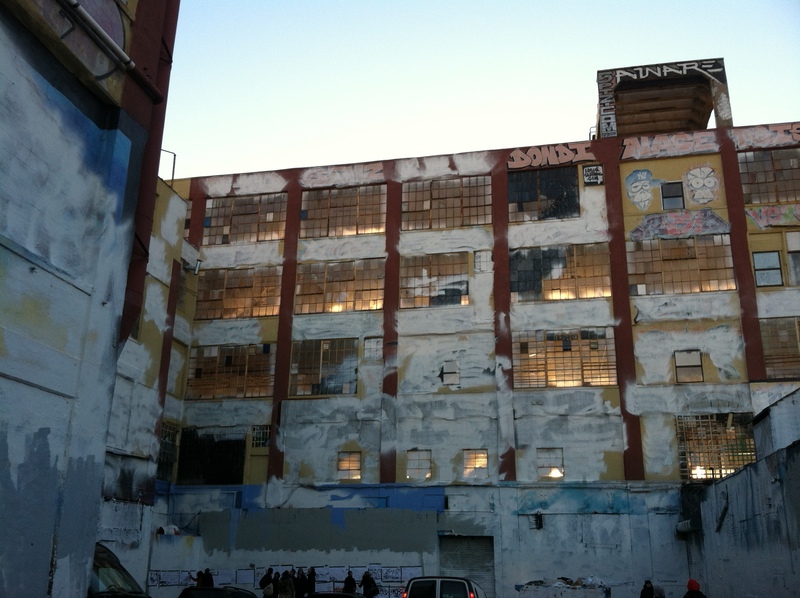 It came quite a shock to New Yorkers a few weeks back when they woke up one morning and saw the reports that 5 Pointz had been whitewashed over in the middle of the night. I actually worked that same night and nearly went right by it on my way back to Greenpoint, after getting the junk washed off of my cab at 4:30 in the morning. Because that section of Long Island City is nearly dark after hours, I had no idea of what went on there until my alarm went off, I pulled up Twitter, and saw that it was trending. At first, I was hoping that the Landmarks Preservation Commission had finally designated the building hands-off to developers but the first image that came up edifice completely painted over in white, done under the cover of overnight darkness. Artists, preservationists, locals, and New Yorkers who had followed the saga for years where shocked at what was considered by many to be an artistic crime. Sure, it seemed likely that the building was going to come down sometime early next year, another victim of the gentrification’s relentless pursuit into the Outer Boroughs. 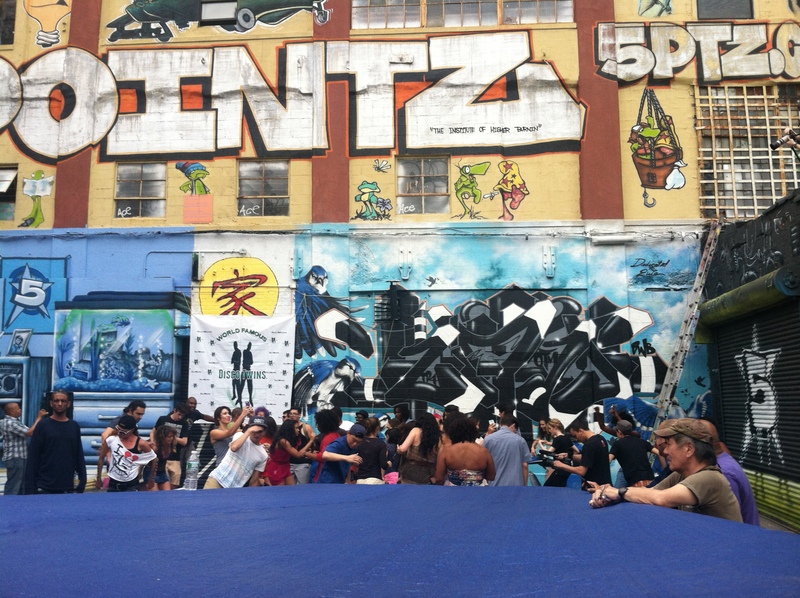 This was different than battles of the past though, since 5 Pointz had a facade that was exclusively turned over for the use by graffiti artists from around the Big Apple as well as around the world. There was a big gathering there over the Summer to celebrate 40 years of Hip Hop as many DJ’s, artists, dancers, and those from the Boogie-down Bronx back in the day made their way over to celebrate a musical movement that rose up out of the decay of postwar New York and redefined what Americans coast-to-coast listened to and ultimately, embodied in their dress, manner, and style. There were rumors at the time that the complex’s days were numbered but it wasn’t until a few months later that another rally was held at the same place, This time around, it was with the specific intent of gathering support to landmark the building and send a message to developers that they had to look elsewhere to sink their capital when it came to upgrading former (and sometimes still) industrial neighborhoods. 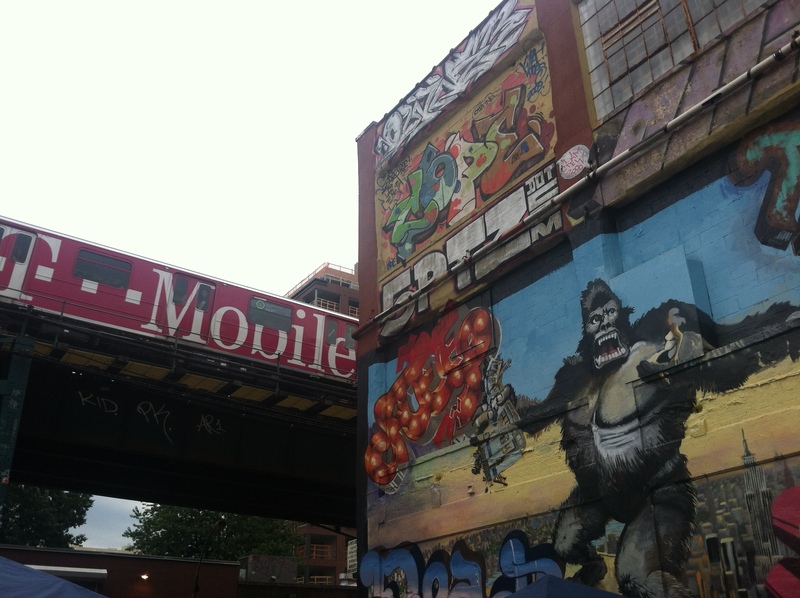 Yours truly went to both rallies – partially because of historical interest, partially out of curiosity, and partially to do whatever was possible to save 5 Pointz from the wrecking ball. The crowd cheered in a scene somewhat reminiscent out of The Warriors, but it turns out to be short-lived as I passed by it a few days later. Most of the building was whitewashed that first night and the Police said that anyone throwing up a tag on it from there on out would be subject to arrest. Sure enough, a few teenagers learned that the hard way later on that week as they attempted to put their name on it with a simple writing utensil. A Pyrrhic victory was the last thing that anyone who danced, laughed, and snapped away that afternoon would have described what took place but once the writing wasn’t on the wall anymore, that’s when it was truly over. The owner said that he wanted it cleaned up so when demolition started, no one would have to bear the sight of watching years of tags, murals, and illustrations meet their demise. Instead, it was done in the same manner as so many heists over the centuries – in the middle of the night while no one had any advance notice. No, it wasn’t Washington crossing the Delaware but one could make the argument that the British were just as surprised as I was when they woke up and realized that their cause was for nothing. Which would be improving their craft. Most graffiti that popped up overnight in the 1970’s was just a simple tag, that everyone wanted to leave behind. It wasn’t art as much as it was a signature – a way for those without a voice to leave one, if only for self-satisfaction. Real art took time and space, which usually ended up on the side of a building or on a Subway car that would make its way to Manhattan for the oppressors to see. The greatest works of graffiti that are in my New York History books or on Youtube clips are only there now and not in actual existence anymore, washed away as part of a relentless assault on quality-of-life crimes that culminated with the election of Rudolph Giuliani in 1993. 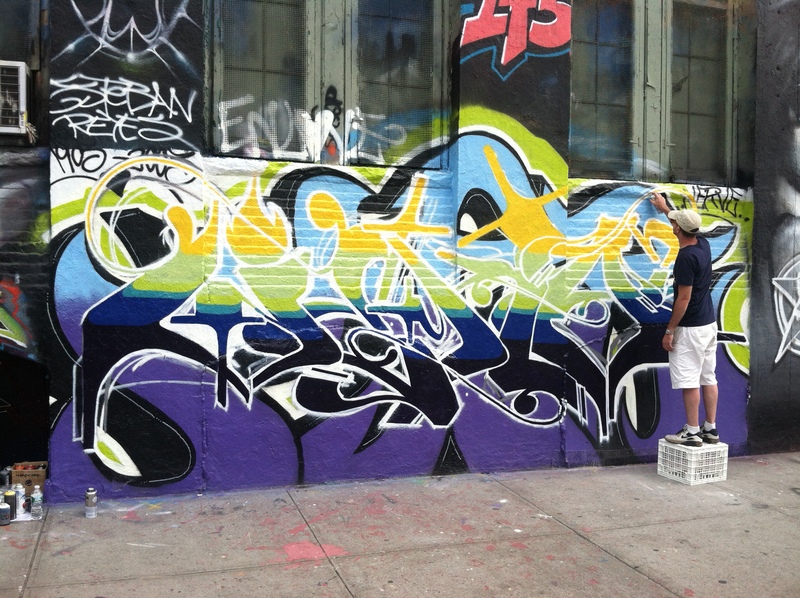 That wasn’t the case at 5 Pointz. Artists took their time planning what they created, and executed their work as painstakingly as possible, knowing that being to be able to display their work there was one of the highest achievements that a street artist could boast. One of the biggest lamentations after the whitewashing of the facade was that thousands of New Yorkers who took the 7 train in and out of Manhattan every day would no longer see the newest pieces as the Subway rose and fell out of the Steinway Tunnels. That was one of my fondest memories of attending the nearby Taxi School, broke and desperate for money as my loans from Columbia were coming due. 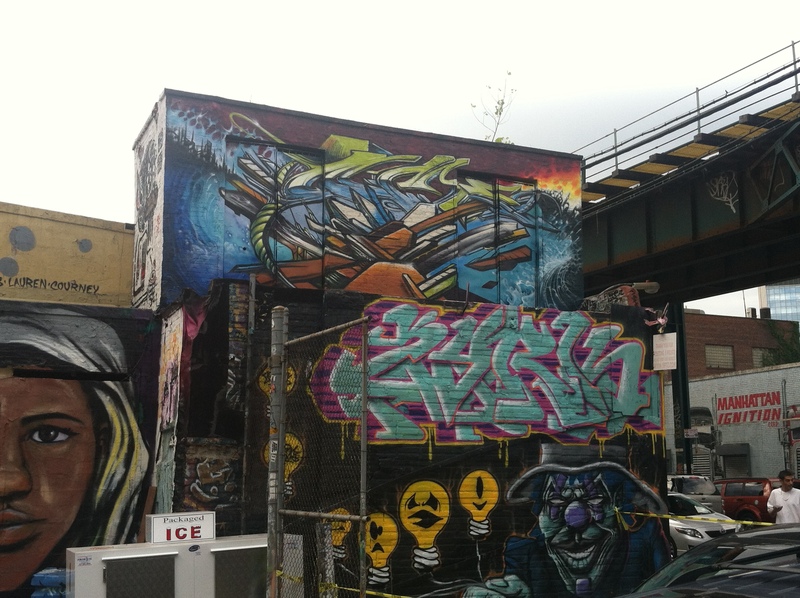 No, graffiti didn’t die with the demise of 5 Pointz but its role with the City at large has been re-examined as the site is prepared to make way for luxury condo towers. The British artist Banksy put a piece up a night a few months back, sparking off a frenzy as to where he would strike next and how much his creations were worth. Real artists were not down with his schtick though, as they merely painted for the love of the end result. While I never fully understood some of the angst and anger behind what was drawn, I could appreciate something that they poured their heart as soul into, just as much as I loved and will always admire the works of Money, Mondrian, and Warhol. The greatest tragedy was that the art forms that came to prominence one night at a time under the cover of darkness took its greatest blow in the same conditions as well. 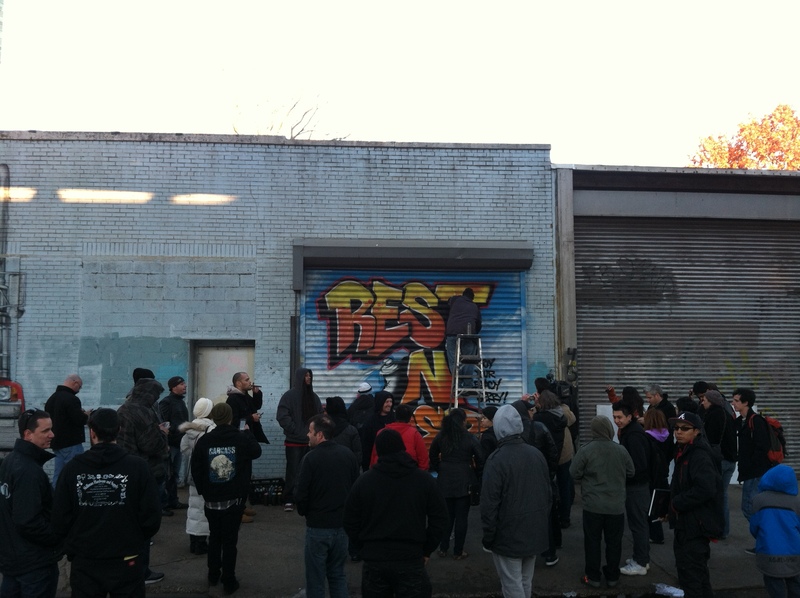 Whether anyone questioned the legitimacy of the art itself only had to look at all the Police that were there at the Save 5 Pointz rally and in the weeks afterwards, as it turned from a Mecca of art to one of mourning. Like everything else in the city that has been a victim of creative destruction over the generations, the community will find a new cause, a new rallying point and maybe, a permanent home where a museum can flourish for future generations. 5 Pointz will probably serve as a smaller and more poignant reminder of what Penn Station did for the greater Metropolitan region 50 years ago. While the mistakes made on the West Side of Manhattan are finally starting to be undone, it’s not too late to learn from what took place in Long Island City a few weeks back. 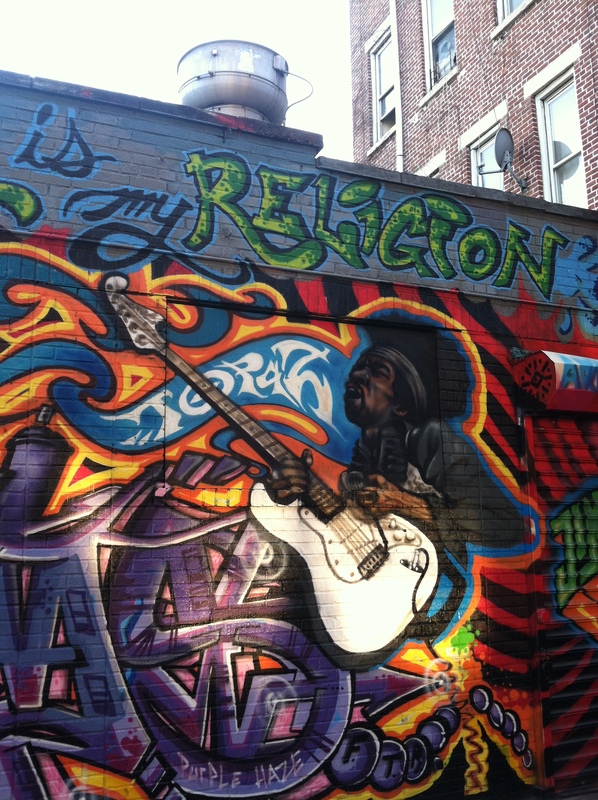 Graffiti is as much an art form in New York as the music that came out of Tin Pan Alley or the Swing that flourished in Harlem during the Jazz Age and needs to be commemorated just as much as those places were as their respective neighborhoods changed during wave after wave of capital and demographic renewal. The real tragedy will be if 5 Pointz suffered an ignominious fate without helping to win the war of urban artistic preservation.